Tina Sani is a misfit unapparent. Born into affluence with no musical lineage, she has had a musical journey that she defined on her own terms, traversed at her own pace. 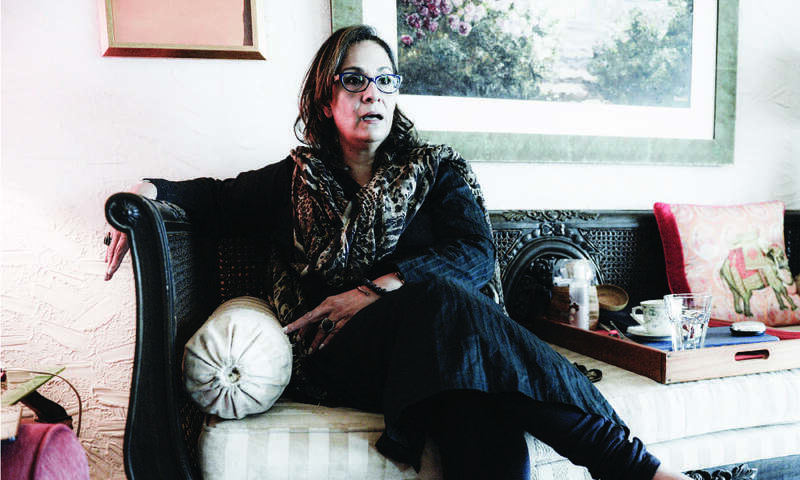 Sani was born in what was then East Pakistan and is now Bangladesh but she spent her early youth in Kabul before moving to Karachi where she studied commercial art. 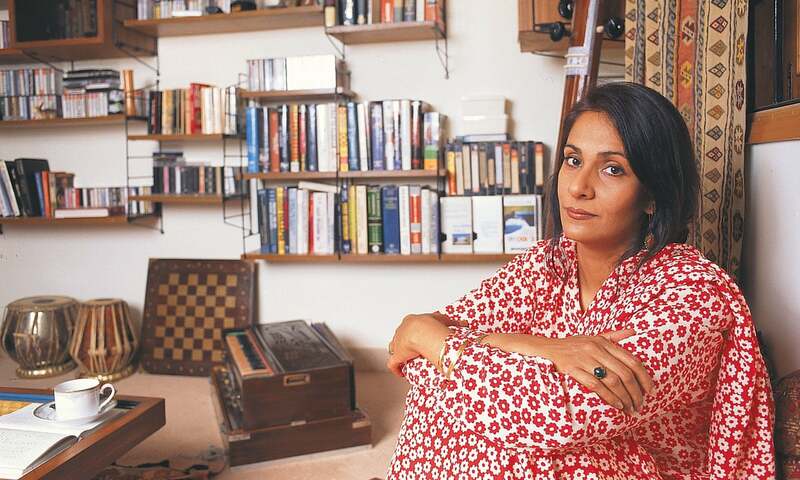 Her father – a big shot oilman who had learnt to play the sitar – urged her to learn classical music. Sani started her music education under the tutelage of Nizamuddin Khan and later honed her skills guided by Chand Amrohvi. She also received training from ghazal maestro Mehdi Hassan and is probably best known for singing the poetry of Faiz Ahmad Faiz. Just like language, music should come very naturally to you and if it does then [the audience] tends to fill in the blanks. 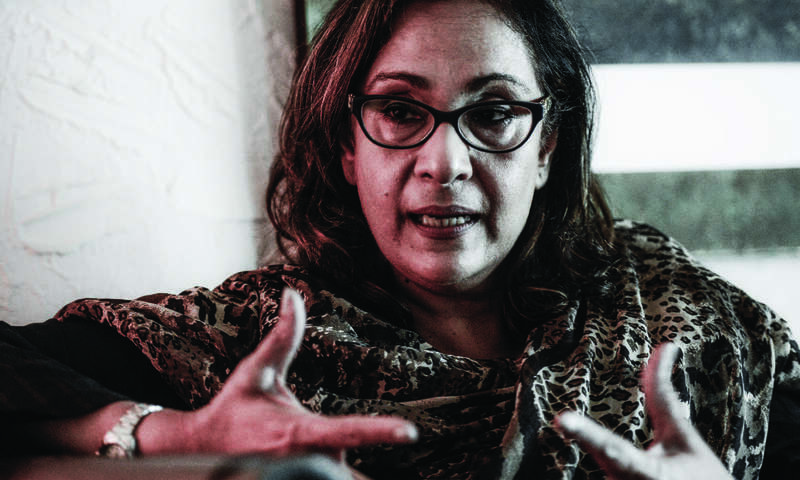 Sani’s melodious voice and decorous stage presence have made her one of the favourite ghazal singers of posh urban Pakistan even though she insists that she has always preferred singing nazms, not ghazals, because of their understated musicality. It is this very restrain that has helped her ensure her place as one of the country’s most beloved ambassadors of music. 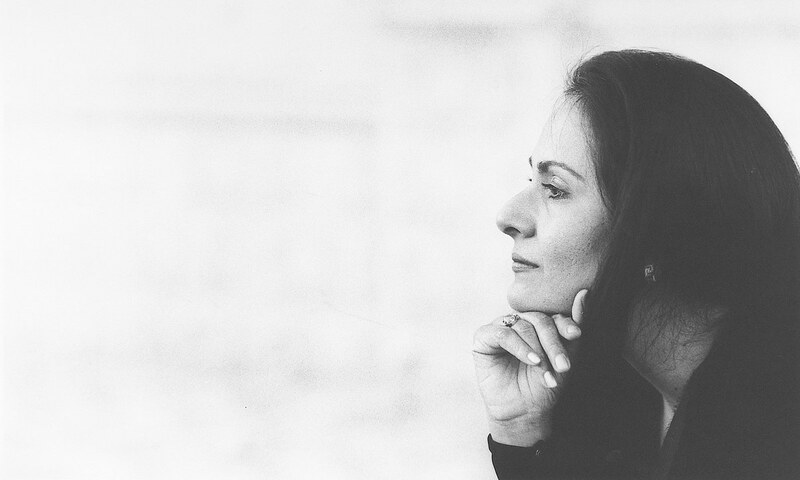 Tina Sani. Yes, I always have because it feels right. When I started doing music, it was not to become a singer. It was just because I loved music, because my dad loved music and there was this great classical ustad, Nizamuddin Khan sahab, who luckily was around. Shafique. How old were you then? Sani. Around 18. It was after I had graduated. Shafique. You had no desire to become a singer before that? Sani. None. It is just that I had a good voice and everybody would tell my father that I should learn classical music. My dad loved classical music and I was my dad’s pet. I would do anything to please him. But when the ustad came over, I had absolutely no idea what were the etiquettes of learning music. Till then, I would not understand why my father or anyone listening to classical music nodded in praise. It all sounded the same to me. I pretty much grew up on Western music. 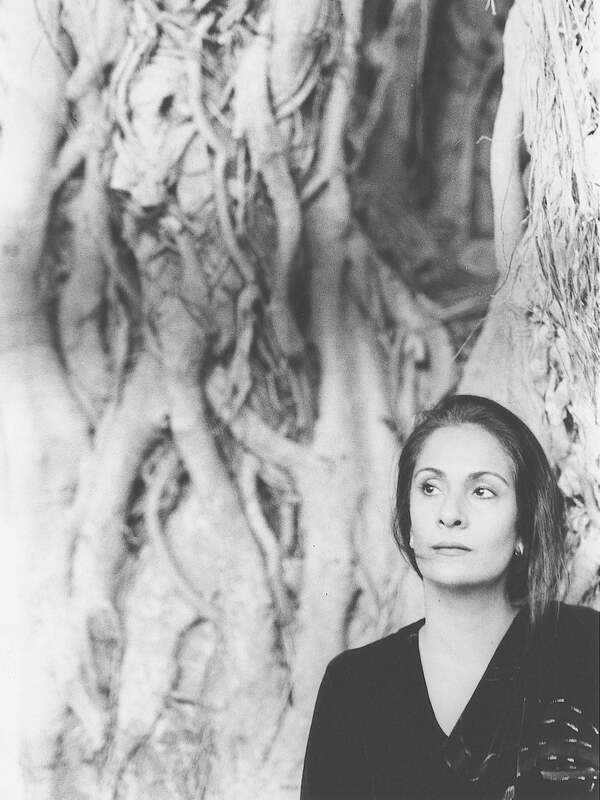 I was a huge admirer of Barbara Streisand. 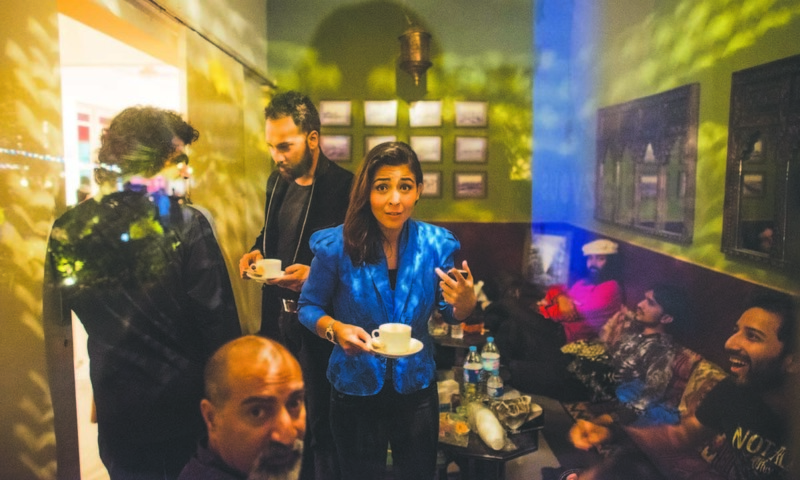 Also Read: The beating pulse of Indie music in metropolitan Pakistan. Shafique. Have you ever done Barbara Streisand type of Western music? Sani. I did one song. It is titled Feelings. I remember singing it all the time. I was also fond of John Denver and used to sing Country Roads all the time. And, of course, I liked The Carpenters. These all were my people but Barbara Streisand held a special place for me. She still does and always will because vocal expressions [like hers] are almost non-existent in Eastern music. I am not saying that there are no vocal expressions in Eastern music at all. But, for instance, if your voice cracks during singing, you will be taken into the recording studio for a retake. Whereas in Western music, if I sing in a cracked voice, it is on purpose because emotionally I am feeling that pain. If I hush my voice, the sound recorders would say that the level of my voice has dropped. I say, please, I need a whisper here because the poetry demands it. Shafique. What Western music does is, in fact, to use varying degrees of your voice. Sani. [Singing is] like language. When we are talking, we say words that we do not even pronounce completely and the listener understands them. Just like language, music should come very naturally to you and if it does then [the audience] tends to fill in the blanks. When [my music education] started, I really thought that Eastern music followed no system. When the ustad introduced me to the first raga in a systematic way, he insisted I learn and sing one raga for a year or so. I was sick and tired of that raga. What he was trying to teach me was how to drive a car and once you have learned that then you can drive any car. It is like somebody teaching you a system. A raga is like going into a new city. On the first day in your hotel or wherever you are, you are not sure where to go, what to do. When you are given a map, you are still lost. And the next day you have to do some groceries. That is the next note. Then you go there and come back because a raga is all about coming home. That is the basis of a raga. You have to do everything and come back. Once I started understanding [Eastern music], it turned out to be such a brilliant system. You can basically understand the whole system overnight. Everything else is organic. It’s like a plant growing from a seed. Shafique. Did you ever feel that you have mastered this system? Sani. No, absolutely not. But I know it well. Shafique. I think it is important to figure out the system. Once I figured out the fret board on the guitar, I knew how I could get from one point to another. I needed the first two to three years to figure out the instrument. Sani. The process of learning was very similar for me. You basically need to train your mind. It is just familiarity. Like in learning a language, the way to keep learning music is to get from places you are familiar with to the places that you are unfamiliar with. It has been an interesting journey. My teenage years were spent in Kabul. I was about 12 and studying at an international American school there in the 1970s. I was the only Pakistani in school, surrounded by people from all over the world. It was a school where you studied world literature, world geography. I really got out of the tunnel vision. Things started to fall into perspective for me around that time. I became a new voice with a higher intellectual level. When [Ziaul Haq’s] coup happened [in Pakistan], I felt torn. I was really sad and I said to myself that I was not settling in Pakistan because the country was in chaos. Yet I had to come back [from Afghanistan] to Karachi to complete my senior year at school. Fitting in was difficult. I felt lost. I was bored. I did not understand why people did not want to work. All the girls my age were thinking differently; of marriage and little stuff. I would live in dreams. Not that I did not think of marriage but I knew my life was different. At that age, I did not understand but I knew I was destined [for something else]. Shafique. I am sure there were other girls like you around as well. Sani. There were many of them out there. I wore jeans which was a big deal but that was what I grew up in. Shafique. Wearing jeans was a big issue then? Sani. Yes, but that was all I wore — a white T-shirt and a pair of blue jeans. The best thing about my home was that we could speak our mind. By then I was part of Karachi’s drama circle. I was just trying too many things at that point — photography, painting, commercial art. I tried everything I could get my hands on to see what it was I wanted to do. I failed miserably in all that. As I started figuring out my life, I came upon music. I started learning it. Two years down the road, in 1980, producer Ishrat Ansari, who was known to my family, said he wanted me to sing in a new television programme he was starting. It was a programme for students. Alamgir was to host it. He was a huge pop star back then. Each week, the programme was to introduce a new singer. I was already learning a semi-classical Punjabi song that my ustad, who was visiting from Delhi, had given me to sing. Brimming with confidence, I went to the studio. The song had to be recorded in one take because the programme had audience participation. Shafique. Which song was that? Sani. Akhan chham chham wassiyan. If you see that old recording, I am looking up because I had never sung in front of people as such. And I tell you, till date, that was a good song I sang. To me, it was pitch perfect. I became a star overnight. My producers were patient with me because they knew I had never sung in front of a mic. Even today, I hate the mic. I like the natural sound of my voice. Khari neem kay neechay [a folk song from Thar] became another big hit [of mine]. Shafique. Did you experience any problems with the song’s language? Sani. I sang Khari neem kay neechay because I love languages. Because of my father, we have been wired with languages. I spoke French at home with him and my sister. So learning a language came quickly to me. Shafique. So singing in Urdu was not an issue? Sani. Singing in Urdu was never an issue. 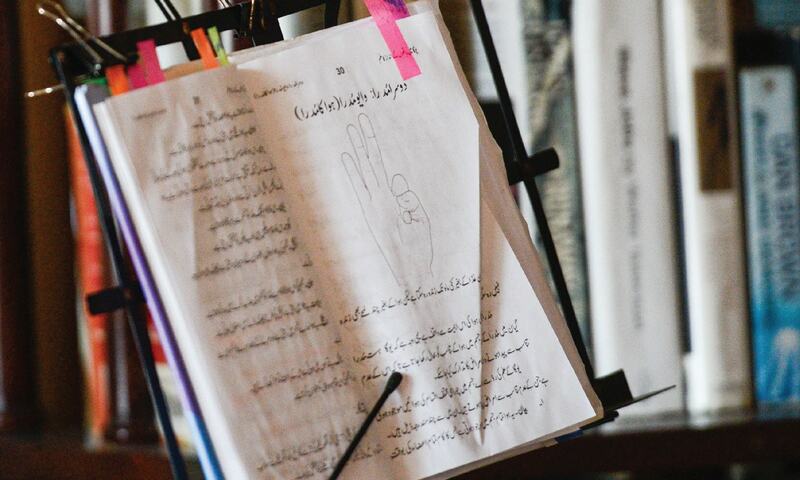 Urdu was a language that we heard everybody speak around us. I also picked up Persian along the way. But Sindhi was a language I had no exposure to. This was a story about a Sindhi singer. The reason the producer picked me for Khari neem kay neechay was that it was meant to show her entire range of singing. It was the title song for a television play in which the singer gets picked up by the commercial people and they get her to sing pop songs. So the producer thought I could do the whole range [from classical to folk to pop]. Iqbal [Ansari] said the song was going to be without any musical instruments. I said to myself, ‘Tina, if people do not like your voice, this is it then.’ It was like hara-kiri, a suicide. In those days, Pakistan Television was the only television everyone was watching. So you really had a fixed audience. Anyhow, I said yes to him and the song became a huge hit. [Meanwhile] after my first song I got signed up by EMI [recording company]. Habib Wali Muhammad, who was a wonderful singer, then said he would like to do an album with me. Nisar Bazmi was to compose it and we were to record it in EMI studios. I was about to faint because this was as big as it could get for somebody who had just been in there for a year. I said, yes, I’ll do it. Bazmi Sahab was the best thing that happened to me. It was tough learning under him. 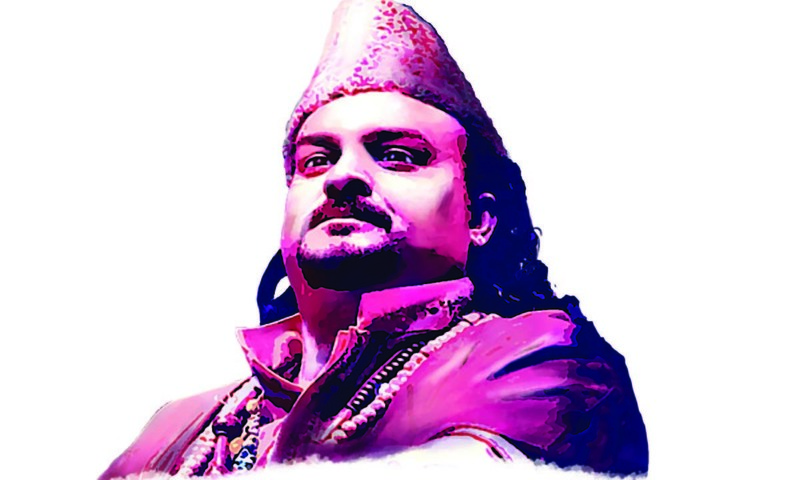 When you are on the crest of fame and you are there for a rehearsal with him, you ask him, ‘Bazmi Sahab, I have to go because the television is going to show my prgramme.’ He would say, ‘You have done the programme once; why do you need to watch it again?’ He flattened you like this, knocked you down and got all that wind out of you. It was just so brilliant. I loved that man. We spent six months together, nearly every day rehearsing and practising and recording that album. But on the first day of that recording [EMI], I got in front of the mic and I could not sing. Fitting in was difficult. I felt lost. I was bored. I did not understand why people did not want to work. Shafique. You could not sing because you were unable to get your voice out in the right manner? Sani. No. I was so nervous. Musicians were all around me. Mansoor Bukhari, the EMI director, came in and said ‘tell her to go home, she can’t sing’. I asked Arshad Memood, who was managing the recording at the time, to drop me home. On the way home, I told him I was not coming back to recording the next day [because] I could not sing for nuts. I told him that the musicians made me nervous because they all rolled their eyes at every mistake I made and I could not take it. [The musicians] would make it difficult and I understand why. The recording company had signed this amateur singer because her albums sold. It was business for them so they had to work with me. For a while that was not a good feeling because when people had to work with you for that reason, they did not really like you. You were just selling stuff for them. At some point, I got very tired of singing the same type of songs. Shafique. Like the ones that appear in movies or just in albums? Sani. No, no. These were television songs. Shafique. It may sound weird but, after a lot of moving around, this is exactly what Coke Studio is doing — making songs specifically for television. None of your songs was in the movies? Sani. I wasn’t in the movies. Nobody asked me and I do not think I have the voice of a movie star. But I did get bored with the kind of singing I was doing. It was quite brainless. I just felt very stupid doing it. So I went to the International American School and got into teaching. Shafique. While you were a big star on television? Sani. Yes. I got back into teaching and that was fun till they offered me a contract. The school said it would really like me to come on board. That was when I had to make up my mind — whether I was going to get up at 6:30 am every morning of my life and come home at 4:30 pm or I wanted to do a different song every day. I decided not to sign that paper and decided to do music. In , Arshad Mehmood called me. We had done some work for children together and he knew me from EMI. He asked me if I would sing a nazm of Faiz. I said yes. I did not know much about Faiz at the time. He had just died and I had never met him. Shafique. You were not aware of his work? Sani. No. I found out later that he had written my favourite songs such as Mujh se pehli si mohabbat meray mehboob naa maang, Dasht-e-tanhai and Gulon mein rung bharay. I had grown up on those but I never made a connection with Faiz because my family was not much into poetry and Urdu. Arshad Mehmood said to me very clearly that normally Nayyara Noor would sing Faiz but she was in Lahore and for some reason she could not be flown in. This was Faiz’s first death anniversary and [Arshad Mehmood] needed this song to be ready because [Faiz’s daughter] Salima Hashmi wanted to put it on her show in Lahore. He gave me this song Meray dil meray musafir to sing. It was a beautiful melody. I could not have it recorded in the first couple of takes. Arshad Mehmood said I had got the tune right, I had the singing right but I did not have the emotions right. Then he asked me if I knew of Faiz? I said no, I didn’t. So he brought me out of the studio for this two-hour live sketch of Faiz Ahmed Faiz. Shafique. What do you mean by live sketch? Sani. He described to me Faiz’s life as a poet -- what he meant in his poetry, what he stood for. Somehow Faiz touched the right nerves in me because of years of my own displacement, my own little political angst. I realised I was a product of the very political environment he was writing about. Meray dil meray musafir was my story. There is a part in which the poet says, “Har ik ajnabi se puchhen jo pata tha apnay ghar ka” (To enquire from every stranger what was once the address of our own home). I have always cried to that line because it gave me the feeling that I have been uprooted, philosophically and physically. Philosophically because I did not know where I stood as far as my thinking was concerned. I did not know where my belief system was going at that point. Every word that I read would make sense to me. Shafique. What happened after Arshad Mehmood did the live sketch? Sani. The second take was just perfect. I became a hit — I am so sorry I am using this terrible word. I became a new voice with a higher intellectual level. Everybody, apparently, cried to that song when it was played in Lahore; I wasn’t there. Mansoor Bukhari, the EMI director, came in and said ‘tell her to go home, she can’t sing’. Shafique. That is where you got your emotionality from? Sani. Yes, because you can do it with a nazm. That is why I love Adele. I am sorry if you don’t. For a while I had thought I was going to represent crisp classic music but I evolved myself out of it. Ghazal was never my favourite. It was always nazm. To me, nazm was this perfect blend of a dialogue which I wanted to do. It is almost like a musical narration with just a hint of music. Shafique. You said you brought some of Barbara Streisand’s emotionality into Meray dil meray musafir. That is a Western thing. Do you think that made you distinct? Sani. Absolutely. That is the reason why the song clicked with everybody in my generation at the time. When Iqbal Bano or Farida Khanum or Mehdi Hassan were singing Faiz, everything was technically correct. But there was something raw about my music that possibly resonated with people. Shafique. That is definitely the Western influence. If you are 100 per cent on something, you tend to be just like everybody else and that then is boring. Then you find someone who has got some small flaw or fault that makes them human — like a crack in the voice. Is that what you mean? Sani. Yes, I remember being told that I should not be on the mic when I breathed. Breathing should not be audible on the mic. Shafique. Don’t you feel there needs to be someone who takes up the baton of ghazal and nazm singing from you and carry it forward? Sani. This fear that we are losing our past — no, we are not. In order for growth to happen, a certain amount of rebelliousness is the most natural thing. What is growth? If you picked up a guitar and you are going to copy other guitarists then where is growth? I think that is what is happening here. Nothing [from our past] is going anywhere. Shafique. When I hear that we are losing sight of our past, I wonder what are people holding onto — nostalgia? They felt for something when they were growing up and then they want it to be exactly like that forever which, of course, will never happen. 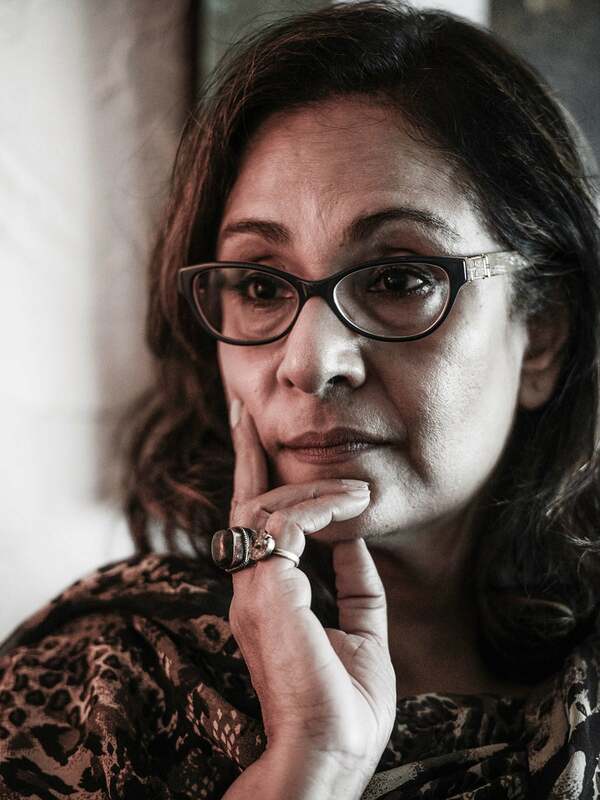 From my experience of working with Coke Studio, I know there are young people who are doing a great job with their music just like Tina Sani was doing in the 1980s. Ten years down the line, they may end up being the follow-up to Tina Sani. Sani. Many of them are doing so well. There is Zoe Viccaji. There is Sara Haider. 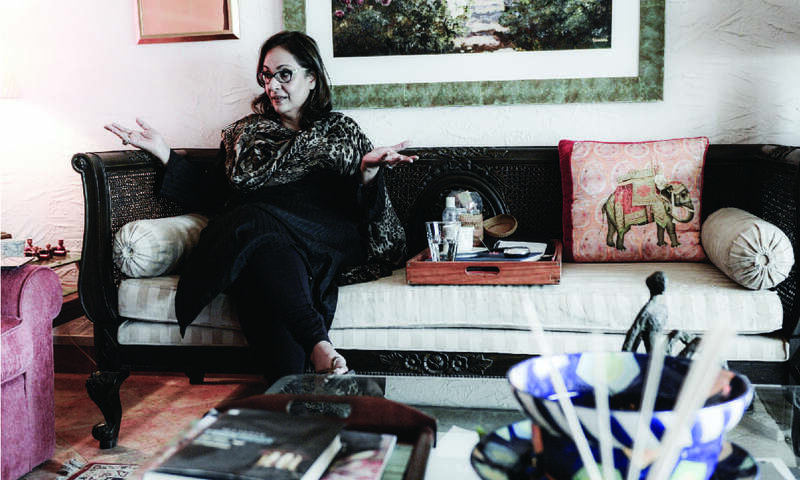 There is Sara Raza in Lahore — I am very impressed by her. She was just 14 when I did a little introduction of her on one of her first serious programmes. She sang so well that I said, watch out for this girl. You have got that whole new crop … Let the future organically evolve out of the past and the present. Shafique. Is the book that you are writing biographical or historical? Sani. It is historical. It is really a deep look into Pakistani music, 1947 onwards. I will just tell stories about people but it is not going to be like Wikipedia. The book has lots of revelations. It will have my answers to why we have certain charmers in music in Pakistan. I will talk about Coke Studio as well to explain why this kind of music always resonates. I am writing this book for myself and for my son. It is almost like I am talking to a 19-year-old from his perspective. People ask me if there is such a thing as Pakistani music. I respond there is some serious Pakistani music. They say what I call Pakistani music is actually the music of the subcontinent. I ask them if they have heard about the difference between North Indian and South Indian music. Those are poles apart. When I say Pakistani music, I do not think I am saying something wrong. Shafique. For sure, we have definitely developed in our own way. Sani. Absolutely. I am not saying our music is better than India’s. I am not saying we are more melodious. I am saying we have shared roots but we have evolved into different species. Shafique. Have you passed on your music to the next generation? Sani. What is passed on to my son is quite incredible. He has always heard the kind of music that I hear in the house. Roshanara Begum is always playing in the house and Mehdi Hassan is playing constantly. Mozart, too, is playing because I am very fond of him. On my son’s 11th birthday, my husband gave him a guitar and that started his love affair with music. He is now in the process of applying to music colleges in the United States. Shafique. What kind of music does he do? Shafique. Don’t you feel that he should be doing eastern music? Sani. No, never. Nobody forced me to do anything. I was so western at the time I started off that I could not even be a pop queen. The producers were trying to replace Runa Laila with me because she had just left [for Bangladesh]. They said I was a perfect Runa Laila but I said no, I am not. Who is going to listen to my music has not mattered to me. I have been doing what I love and I just hope people can like it also. I am, therefore, not going to tamper with my son’s passion at all. I only tell him that he should not see me as his celebrity role model because I got lucky. I do not know why people like me. Shafique. It is the combination of the right place at the right time. And, obviously, you had to make an effort and you had to make some right decisions besides having that little bit of a spark that got people interested. You cannot manufacture all that. Sani. The one rule in my house is that music is not to be taken non-seriously. It is very sacred in our lives in the sense that we don’t joke about it. He knows that music is not child’s play. Shafique. Apart from your own son, have you ever mentored anyone? Sani. If I cannot commit 100 per cent to someone, that is really leaving somebody in the lurch. At this point, I think writing is a better way of sharing my experience. Shafique. Instead of sharing with one person, you are going to share it with everybody. Tell me, how you started to sing Amir Khusrau’s poetry. Sani. I heard his poetry being sung on television but it did not inspire me. Then I heard this beautiful piece done by Shujaat Khan, son of sitar maestro Vilayat Khan. I got to know Shujaat Khan at one of my concerts in Dehli and then I came upon a recording that he had done of Amir Khusrau’s poetry. I emailed him to ask if I could use [the music]. He said I could. It was half-whisper, half-dialogue, half-music. I would never use sitar in my own songs because sitar has a lot of depth that is hard to compete with. In order to have a dialogue with it, I thought of these two guys – Yusuf Kerai on tabla – and this young person [Shehroze Hussain] who goes to Nixor college and wants to go to Berklee [College of Music]. Shafique. Like we were discussing earlier, you have to get out of your familiar terrain to move forward. Sani. Absolutely. But not for the sake of only trying [to get into unfamiliar territory]. Then you will be doing it for the wrong reasons. It has to evolve. It is important to listen to your heart. It is actually the toughest thing that one can ask of oneself because it requires a kind of lifeblood in many ways. Creativity is joy but it is also very painful. When you are trying to grow a seed into a blade of grass then you don’t pull it out — that will break it. I once asked writer H M Naqvi about his writing schedule. He told me he had been writing a book for five years. Shafique. You cannot force these things. You have to follow the funny hints and clues — follow some of them and discard others. How did you settle on singing Mori araj suno? Did you choose it or was it Rohail Hyatt? Sani. We had done the composition for a play years ago. When I started learning classical music, I asked Arshad Mehmood to do something which showed my classical music prowess. He made Mori araj suno dasatgeer peer — just the four lines, the slow ones. I used to sing it and then I stopped singing it for years. Then I came across one of Faiz’s Punjabi poems, Rabba sachya, and I connected it to Mori araj suno. Rohail said he would like to have Arieb Azhar narrate poetry during the song. I said yes to that. It was so invigorating. Your finest performance is the one where you let go of your inhibitions in order to communicate with the audience. Shafique. The beginning, and the middle, all came together like magic. Sani. We all had a great vibe together. A man from The Hindu in Chennai [India] called me and said the newspaper would like me to perform at its annual concert. I asked him if he was sure he wanted me to perform because I only sang in Urdu. The guy on the other end of the phone said they would like me to sing Rabba sachya. After I sang in Chennai, young people came backstage. I asked them how they knew the song and they told me that Coke Studio was a cult there. It is just so amazing, the power we carry as musicians. Shafique. Sometimes things turn out in a way that we were not even thinking of. Sani. Yes. I made fun of this song that I had sung. I am not going to name it but I said it was a terrible song. It became huge. People ask me which was my finest performance and I say the one I had in Croatia in 2008 or 2009. At the after-party, musicians were sharing their percussions with my musicians. People came to see me from places such as Russia saying they cried when I sang Meray dil meray musafir — the song that speaks about the poet being asked to leave what he has been most comfortable with, his comfort zone. Shafique. That is why I think musicians and creative people tend to go for intoxicants because those do help them lose some inhibitions. Shafique. …Where you lose yourself. That is a magic moment. It is like your primitive mind just takes over and then everything that you do comes out of you like second nature. Sani. The Rumi song (Nawai ney) we did together did not have as many hits as Mori araj suno. But to me, it was magic. I experienced what you would call transcendence. That is how natural it was. I was not aware when the song ended. In fact, they stopped recording but I kept singing. There was a German woman, Hildegard, who lived a thousand years ago. Her music was found in Germany in the oldest of churches — intact and played. She wrote theology of music and said music of the heavens was in such perfect pitch that Satan hated it. So he infected it. The man on Earth is forever searching for that lost divine music. Shafique. It is basically finding the natural tonality of the planet because everything is always spinning and there is always a frequency to it. Sani. I started working with sound healing at one point. I gave a lecture at SIUT at one point and talked about how sound heals and how music heals. I said to the SIUT staff, you guys break stones in the kidneys with frequencies, don’t you? I can bring a tear to your eye without touching you. That is music. This was originally published in the Herald's August 2016 issue. To read more subscribe to the Herald in print. The interviewer is an award-winning musician. What you said about creativity resonates very deeply with me. I hope you continue to sing from your heart for a long, long time. Indeed, Tina excels in singing poetry; she should explore & work more in the poetic domains of Rumi, Iqbal, Bullay Shah, Hafiz & Perveen Shakir! Indian Music has many branches, with the two main ones being the North Indian and the South Indian (Carnatic music), and third branch called folk-music. More-or-less all branches have a common root - the Vedas. The Main North Indian branch has many shoots or sub-branches called Gharanas (Styles). Now if someone drew a boundary on the ground such that a few leaves appear to be on the other side of the boundary, it doesn't means that the those leavs get a different name or a different color/texture/taste. They remain to be the part of the big tree - the Indian Classical Music. Now we can keep fooling ourselves though. Tina Sani thank you for your contribution for Pakistani music. I always admire your Faiz poems and always look forward for your new unique contribution to music. Thank you for everything. @wigi No thanks but thanks for your ownership of Music! This is such an illuminating interview with Tina that I had always wished to read. As an expatriate i can empathise with her emotions about rootlessness. Thank you Dawn. It's still unclear what exactly is 'Pakistani' music. Litany of Pakistani singers, writers, lyricists, et al, is clear, but how does it actually translate into "Pakistni' music? There has to be some exclusivity in it, in order to claim one. Don't see that here. After reading this interview for the first time I heard her performance in You Tube. She is having a Devine Voice.Regards. Tina Sani's voice and Faiz's words. Beautiful combination. Thank you for your soulful singing. Music started in the Churches and temple to offer the prayers to the creator in a beautiful way. And this is the reason it touches the heart. And like the surnames and many common habits of Punjabi on both sides of the borders, music also came to Pakistan from the ancient people who used to live there centuries ago. So Pakistani music also descended from Indian music. Dear Omran, you reminded me of many similar things about Pakistan. We have no Pakistani dance either. What about Pakistani food (except for Chicken tikka, perhaps) all dishes come from India, eaten by Indian Muslims, we are so proud of Hyderabadi baingan and biryani. And what is our National dish? Is it pulao or biryani? People in Punjab and in KP nobody eats biryani. and in the entire Sindh nobody eats pulao. The only person is being fooled is you. Like Nustar Fateh Ali, Rahat Fateh Ali, Noor Jehan and Mehdi Hasan, Tina Sami is a Pakistani icon sings/plays Pakistani music. The music was Indian only till August 14, 1947. After August 14, 1947, it is all Pakistan, baby. One of the most melodious voices, and one of the most elegant personalities! I have been a big fan since long. There were same people, back then, across from where currently you are. It makes it nothing was imported form across the border to where now we are. Thank you madam for sharing these interesting informations. I am a big fan of your's. Along with a great singer you have a sober personality. Wish you a very long and healthy life. Stay blessed. @wigi Alright bro you are the owner of it from here onward we shall just continue to listen and enjoy without thinking of boundaries. 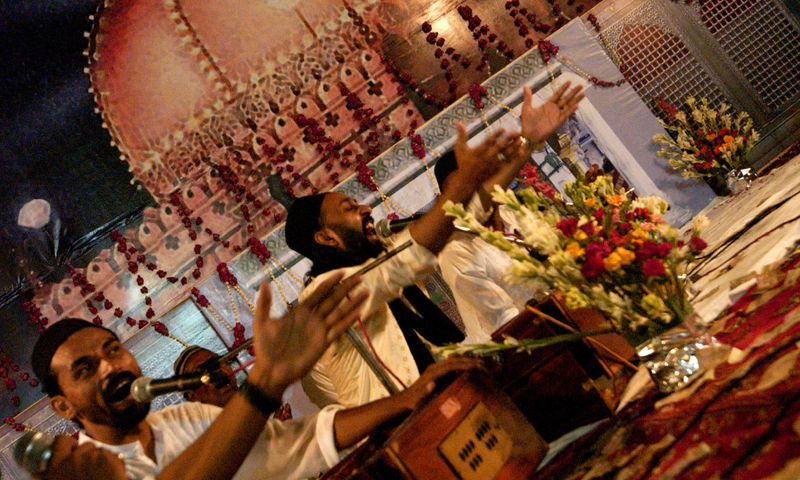 Unless one can clearly specify characteristics that make pakistani music unique, and discernible as being unique, it is hard to argue pakistani is different from Indian classical music. It should be clear that Indian classical music comes in so many different flavors, each of them evolving over time. But it is indeed possible to specify how these flavors / varieties are different. Can one do the same for pakistani classical music? Why we are so adamant to label art as Paksitani art. Everything we inhrited is an Indian. Music of Pakistan is mainly Arabic music, then Persian, and lastly Afghan music. The Indian subcontinental music in Indian, nothing to do with us Pakistani. Pakistani music has benefited greatly by it's marriage with the Urdu language and it's divorce from the film industry. An entirely new genera of songs have cropped up in Pakistan over the last 30 years, quite unlike India where the Bollywood shallowness has reduced Indian songs to dance beats. It is exceedingly rare for someone to like an Indian song if they have not seen the dance. Just because Pakistani sing Indian music does not make it Pakistani it still is Indian music. For us Pakistani our music is Arabic music since most of our ancestors came from Arabia, then is Persian music as 20% of our population is Shia, and finally Afghan music as 20% our population is Pushtun. So Pakistani music is a combination of Arabic, Persian, and Afghan music. We don't need any Indian music. There is certainly exclusivity in Pakistani Music. I can tell an Indian song from a Pakistani song in about 3 seconds. Most Indian songs are dance beats with hardly and linguistic content, I cannot associate most Indian songs with any language, they could be any North Indian language. Thank you Tina Sani for your endearing contributions. Long live the legendary names of singers and poets :Mehdi Hassan, Ghulam Ali, Noor Jehan, Farida Khanum , Salamat Ali Khan, Faiz, Nisar Bazmi, Fazli and dozens more. Absolute timeless tunes and our country's gift to the arts and music world.